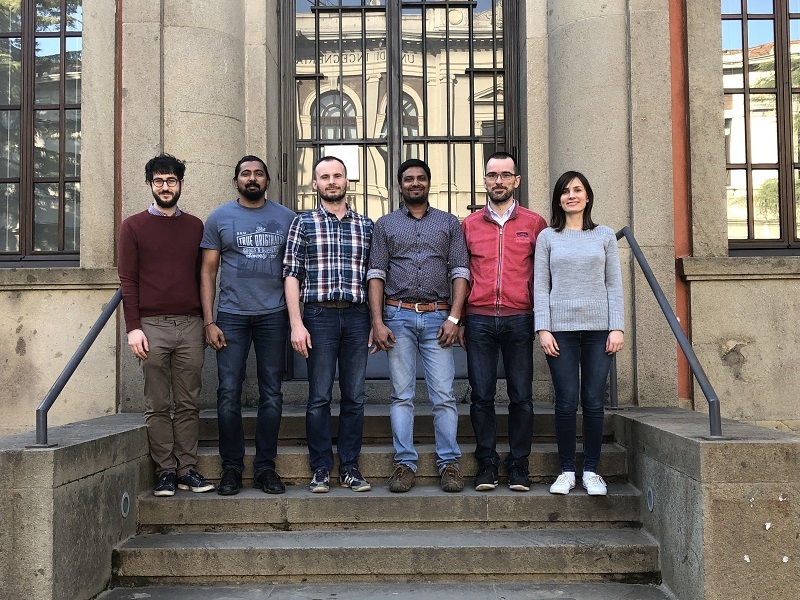 It is a pleasure to note that Dr. Arish Dasan, one of our FunGlass researchers at the Department of the Glass Processing, has successfully completed his year of training in Italy! Dr. Arish Dasan had joined our international collaborator Prof. Enrico Bernardo and his team at the Department of Industrial Engineering (University of Padova) on April first of 2018 for his research training programme. During the training period, he conducted research on the manufacturing of 3D bioactive glass-ceramic scaffolds by using preceramic polymers and oxide fillers with different additive manufacturing techniques. Furthermore, he focused on the development of additive manufacturing for porous transparent glass structures in functional applications and 3D bioactive glass microsphere scaffolds with a hierarchical porosity. The outcome of the research results should be published soon. Dr. Arish Dasan has planned to extend this work with porous bioactive glass microspheres in collaboration with Prof. Bernardo.